​Toronto miss Giovinco (att 25/17) and Jozy Altidore (att 19/10, socred this night 2 goals for NT), ​Warner (mf 22/2), Benoit Cheyrou (mf 21/1).. The Sounders are also without a couple key players. Marco Pappa, and Roman Torres are out with international duty. The loss of Pappa won’t be that impactful since he only rejoined the team a week ago. However, the loss of Torres is huge. Orlando ​in awfull form (last 5 without win and their defence recived 13 goals in 3 of that games). ORLANDO, Fla. – Adrian Heath doesn’t have a second career as a magician, but he admits it may be time to pull a rabbit out of a hat as he takes his Orlando City SC team to Foxborough for the first time for a crucial showdown with the New England Revolution on Saturday. Heath’s mantra when key players are missing is that it is an opportunity for someone else to step up, and that could not be more true this weekend as the head coach looks to build on last week’s home draw against the Chicago Fire without Kaká (mf 25/9), Cyle Larin(att 21/11) and Darwin Ceren (mf 21/2). MONTREAL – Designated players Didier Drogba and Ignacio Piatti and fullback Hassoun Camara are all fit to play for the Montreal Impact, much to the relief of new coach Mauro Biello. Joking aside, the Montreal native and former Impact star has serious roster issues to resolve with central defenders Laurent Ciman (national team duty with Belgium) and Victor Cabrera (one-game suspension) out of the lineup. They are also missing midfielder Johan Venegas (Costa Rica) and fullbacks Ambroise Oyongo (Cameroon) and Eric Miller (U.S. under-23), as well as two Canadians, midfielder Kyle Bekker and third-string goalie Maxime Crepeau, to international duty. They dont have such missing problems but they are in bad form. Maybe they can take point(s) today against much weaker hosts which are also out of form and have important missings..
New York Red Bulls are in third Position in the Major League Soccer with 38 points in the table while Tottenham completed its last season 2011-2012 with securing fourth place in the league table although Hotspurs failed to secure the spot for Champions League next Season. English Premier League will start on August 18 and Tottenham will play against Newcastle United in their first league match. Tottenham Played against 3 clubs in International Club friendlies In which they won 1 match against Stevenage FC and 2 match were ended with draw against English Club Liverpool and another MLS playing Club LA Galaxy. North London side were poor with its last performance in the club friendly matches. Second-place in the West RSL hosts third-place Vancouver, as these two teams jockey for position in the playoff race. 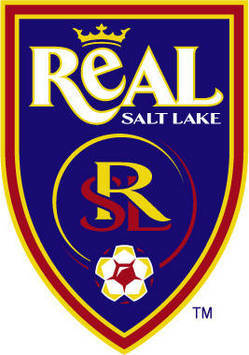 Real Salt Lake (4-4-2): Rimando; Beltran, Watson-Siriboe, Borchers, Wingert; Grabavoy, Alvarez, Steele, Morales; Saborio, Espindola. 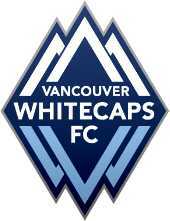 Vancouver Whitecaps (4-5-1): Cannon; Lee, DeMerit, Bonjour, Rochat; Richards, Koffie, Robson, Davidson, Sanvezzo; Mattocks. After going through a rough patch of performances, most of them coming as a sub, Camilo Sanvezzo is starting to find the form that made him team MVP last season. He is looking more dangerous coming off the left wing but still needs to show more confidence in his shot as it seems like he is a little gun shy. He has added an impressive defensive side of his game, if Wednesday’s game is anything to go by. Acquired in the offseason from FC Dallas, Marvin Chavez is a dynamic player with pace who can whip a nice cross in. Playing on the right side of the midfield, he is leading the Quakes in assists with eight and even contributed with his first goal on Wednesday. After completing his one game suspension for yellow card accumulation, Alain Rochat returns to lineup against the Earthquakes. It has also been a while since he has played on the backline, five games, but his return there will benefit the Caps as he brings more physicality and more attack to the position. The battle of the midfield will be a key and one of the better young holding midfielders in MLS is Sam Cronin. The former draft pick of TFC competes hard for the ball with timely tackles and is showing the ability to contribute offensively in his fourth MLS season. It was quite a home debut for Barry Robson in front of a sold out crowd at BC Place. Not only did he score a goal but he also controlled the midfield with Koffie. The Scot was very dangerous throughout the match, especially on set pieces where he came very close to giving the Caps a third and grabbing the win. The much travelled striker Alan Gordon seems to have found a home playing next to Chris Wondolowski up front. Since starting in place of the injured Steven Lenhart, the forward has three goals in four starts and four goals in his last six appearances. The Whitecaps return to their home pitch as they try to forget their disappointment against LA and focus on their next opponents, the Conference leading Earthquakes from San Jose. The two clubs have split their first two meetings of the season, with San Jose winning 3-1 at home, while the Caps did the same by scoring a late winner at BC Place for a 2-1 victory. There is no surprise who starts in goal as Joe Cannon returns and could have his top backline in front of him with Lee on the right side with Rochat on the left. The central pairing will be Jay DeMerit and Martin Bonjour, with Jun Marques Davison in front of them as the holding midfielder. The two other central midfielders will be Gershon Koffie and Barry Robson who paired well in the last match against the Galaxy. Up top Darren Mattocks will start as the striker where he will be flanked by Dane Richards and Camilo on the left side, with a chance that Kenny Miller starts on the bench. For the fourth straight game, the Whitecaps are either saying goodbye to a key player or welcoming one to the fold. This time it is their first designated player Eric Hassli who was traded to TFC for a 1ST round pick in 2014 and an international spot. Whilst this recent trade came as a shock for many, considering how much Hassli was playing the trade really makes sense. On the pitch the Caps now have two ways to attack, through the middle with Koffie and Robson, and down the wing using the pace of Richards. In addition, the Quakes have never faced the speed of Darren Mattocks as he makes his runs down the middle of the pitch. When defending, while it is easy to say, the Caps must keep track of Chris Wondowloski, who is on record breaking pace for goals in MLS. They can’t allow him to slip away from them and find space in and around the box or they will be digging the ball out of their net. Another part of San Jose’s game that the Whitecaps will have to take care of is their ability to cross the ball from wide areas. The Whitecaps will have a tough task to beat the best team in the league twice in a year, even if they are playing them at home two times. With so many fan favourites leaving, the pressure will be on the new look side to get immediate positive results but there will need to some patience displayed by the supporters. However if this team plays the full 90+ minutes they are capable of, acquiring the full three points as they enter the non existent All-Star break is very achievable. The friendly at Yankee stadium offers PSG an early chance to test its might against one of Europe’s tradition powers.